Grinding balls are used as a filling for the mills for grinding raw ceramics, glazing and frits, raw materials for the production of cement etc. 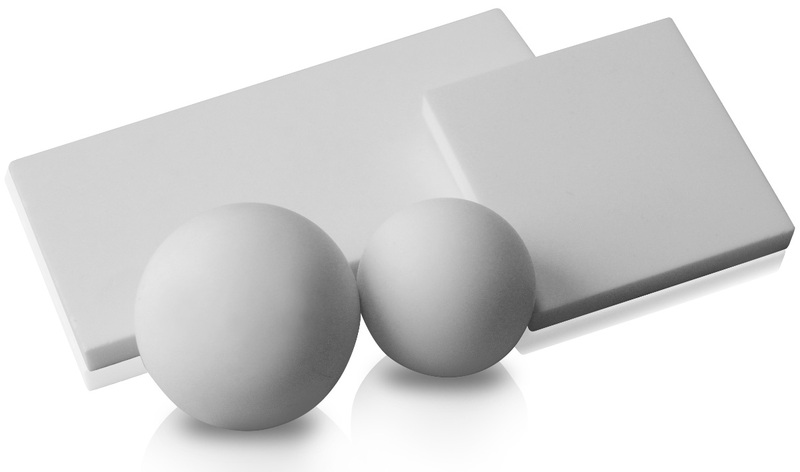 The current product range includes the balls with diameters of 30, 40 and 50 mm. The lining blocks for these grinding drums are made according to the dimensions required by the customer. This field constitutes an essential basis for the preparatory processes in the ceramic industry. Lining blocks and grinding balls featuring high abrasion resistance are used in grinding drums for abrasive raw materials. This substantially extends the lifetime of the linings and grinding balls. At the same time, this reduces operating costs. High abrasion resistance and hardness of the ceramic material is used in industry in sand blasting nozzles, and in agriculture in spraying nozzles. High mechanical strength, hardness and abrasion resistance is used in particular in the parts of machines for electrical porcelain working, lining of the brick press mouth etc. These products are manufactured according to the customer’s specification.